Clearview 316 marine grade stainless steel security doors and window screens are made from 0.8mm strand woven stainless steel mesh, which makes them incredibly strong. They are also installed with Quality Whitco triple locks 3 hinges and for sliding doors an interlock . These doors and windows are long lasting, and the highest quality security available for your home, so you can leave them open and keep everything but the fresh air out. 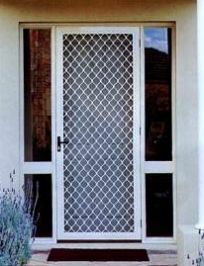 Security mesh can be fitted to all standard doors and windows, and comes in a range of colours to suit any decor. It also comes in a range of patterns, providing not just a visual deterrent for intruders, but also a stylish addition to your home. 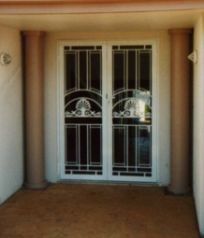 There are so many different designs of cast security screens; you are sure to find one that looks great on your home. These screens are available in a range of colours, and can be adjusted to be left or right opening. 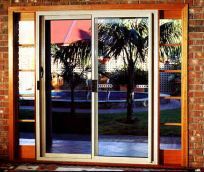 With a choice of hinged or sliding doors, and adjustable lock height, these doors are very versatile. Maybe you want to replace the garage door with a glass door, or perhaps your old glass doors and windows are past their use by dates. 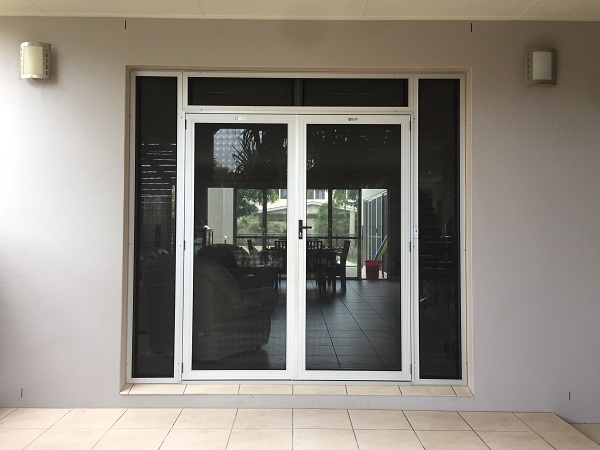 We remove your old windows and doors and replace them with a stylish new Aluminium product, custom made to suit your requirements. With a large range of colours and styles there's sure to be one to suit your requirements. Don't put up with stiff or leaking windows any longer, replace them today!